Pink Tea Latte: Edible Obsessions | Brunch at 33 Acres Brewing Co. 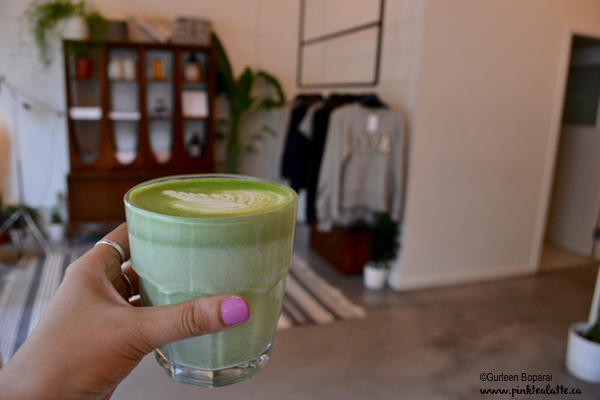 Edible Obsessions | Brunch at 33 Acres Brewing Co.
what a gorgeous matcha latte?! Even though I have a nasty cold, I refuse to let it hold me back from going out for Sunday Brunch! This weekend, it was my friend's pick and he chose 33 Acres Brewing Co! Personally, I think he chose it because he knew how badly I wanted to try their waffles and since I was sick, I guess it was an attempt to cheer me up! Yay for fabulously amazing friends. No one can ever replace friends like him! Of course I got their weekly feature waffles Hehehe. 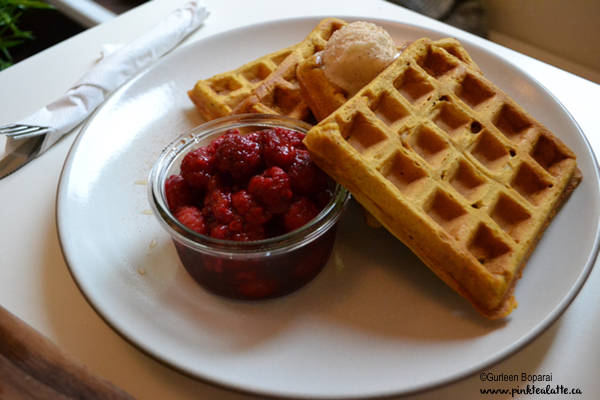 This weekend, 33 Acres Brewing Co whipped up Pumpkin Spice Waffles with Cream Cheese Butter (I want them again now). You would think we would all be over the pumpkin spice creations, but pumpkin spice will always remain a classic! I generally love my waffles and pancakes with some fresh berries. They did not have fresh berries, booo, however, they offered me cooked raspberries which is used in their parfaits. It was pretty funny because it looked like I had started a trend. The table beside us then asked for berries with their waffles too. Super flavourful, that smelt amazing, I hope they make the pumpkin spice waffle a regular fall flavour at 33 acres brewing! 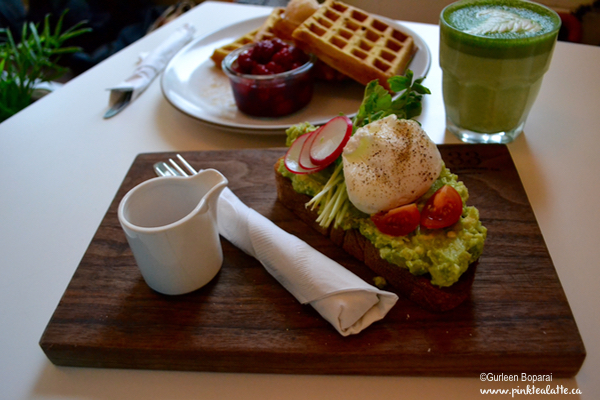 My friend got the Avocado Smash Toast plus a poached egg (go protein!) on sourdough from Nelson the Seagull and some hot sauce in the adorable little pitcher! the moment you took a bite of the avocado smash, you just taste freshness in your mouth. I said it tasted like EARTH, but it really did taste as if the ingredients were only picked moments before being cooked. Unfortunately, the one piece of toast is not going to fill you up. We honestly thought there would be two pieces of toast. To accompany my brunch, I had a matcha latte. Super creamy and it warmed me right up. I felt as if I was cozied up to a fire place while it poured outside. I liked how it came in a clear glass versus a traditional cup with handle. Just a little change! I wholeheartedly suggest you go check 33 Acres for Brunch. It was absolutely delicious and it is also a perfect opportunity to get your growler topped up!